How the US deportation system endangers refugees. 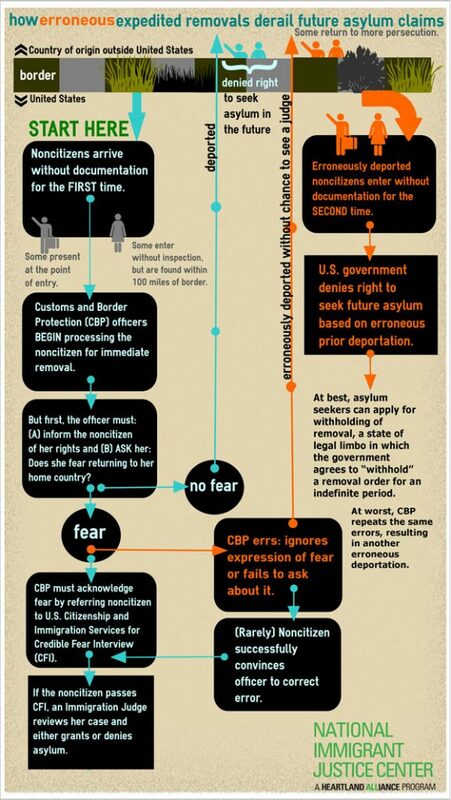 U.S. Customs and Border Protection routinely prevents refugees from being able to pursue asylum in the United States. Officials fail to ask individuals if they are afraid to return to their native countries (which they are legally obligated to do), and intimidate or ignore people who do express their fears. The result: people who may qualify for asylum in the United States are deported back to places where they face persecution and torture. This week, the National Immigrant Justice Center and nine other human rights groups filed a civil rights complaint on behalf of asylum seekers who were wrongfully deported. Unfortunately, this is not a new problem. For years, asylum seekers have reported unjust treatment by U.S. border officials.